Can Juicing Save Your Life? When celebrities proclaim the benefits of juicing, it helps spread the word (about juicing) further and wider. Making the awareness become more main stream and less of a weird concept for people to get their heads around but can juicing save your life? It is our belief that it can save many lives not just yours if you tell people about it. Knoweledge is power they say, so power to the people we say lets educate the masses. It has become that peoples reactions are changing to juicing lately. I find I don’t get as many “Raw vegeatbles, Er you do what?” and get more “oh my mums friend does it all the time!” Which is healthy as it means an education in juicing is now more readily available to people who want to grasp the benefits, and understand how to cure and heal themselves from the inside out. “That’s why for me, juicing is non-negotiable. It’s abundantly clear that having cancer, it’s super important for me to only feed myself with the best nutrition in order to alkalise my body, boost my immune system and help my body fight my disease. This knowledge of juicing has helped Polly get over her cancer and stay clear of it. By proclaiming and showing the benefits she helps other people to understand some of the science behind how it works and what it means to keep your bodies system in an alkalised state, rather than an acidic one, for optimum health and wellbeing. A poor diet high in refined foods like white pasta, white bread, cookies, meat and processed foods and drinking refined and artificial sodas, alcohol and concentrated fruit juice drinks. Stress is highly underrated and extremely detrimental to the internal workings of our body acidifying our pH and making us vulnerable to illness. Negative emotions can lower your pH so think of 10 things to be grateful for and raise your pH. 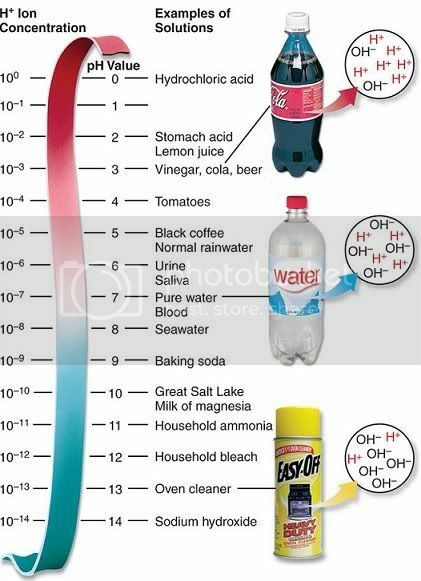 I recommend reading the full article as it is very insightful into, the acidity vs alkalinity in, our bodies education. In an age of ‘believe what your doctors says’ and ‘take this medicine it’ll make you better’ mentality. You have to agree being given simple advise that works is extremely valuable but you have to act on it. Coming from people like Polly, who like many, have a reason to shout about it is just great news for the world of the Juice Junkie out there and those that want to become one. Polly has beaten cancer twice and is determined to not get it a third time. By creating an alkalised system she gives the cells in her body the correct environment in which they can thrive and easily resist disease. Can juicing save your life? You be the judge! Go for green! Spread the Juice Junkie message click like and share this with your friends and help us to get the message out there for all your friends to judge too! Each of us is made up of millions of cells, tiny living growing or dying cells. Right now this is going on in your body If these cells don’t get the cell power foods they need they become dysfunctional, idle or die! Think of your body as a structure with tiny building blocks making up that structure. These building blocks would be the cells. These building blocks are no inanimate blocks they are real living organisms that need nourishment and sustenance. If they are given the right ingredients they will flourish and remain healthy if not they not their functionality decreases. Dan the man (without the aid of his juicer) explains. So the reality from the mouth of a juicing guru. Cells need power and the best power you can give them seems to be from raw foods. I am still to try a juice fast but like Dan we all learn at different rates and get around to doing things at different times. I hope this has encouraged you to consider your cell power foods when you put your meals together. Do you have a need to start juicing for better cell health let us know why? Click Like to share this and spread the word about cell power foods and the benefits of juicing. How Can I Change My Diet? How Can I Change My Diet! You are what you eat, That’s a given here at the Juice Junkie Journal. So what if you are asking yourself how can I change my diet? You could start by looking at your belief systems about food and where do those beliefs come from which will have created the eating patterns you have? By studying food and its effects on the body we have to consider where our food habits come from? The reality is that they have been passed down from our parents, grandparents and so forth. Our social societies and cultures that surround us as we grow up have a massive efffect on our eating habits with regard to what we think is normal and what we consider abnormal. Because it is natural we follow what we have been taught by our parents, which usually is a copy of their mothers and fathers patterns. For instance if you were brought up in a jungle region you would most likely have a great diet of raw fresh fruits, certain vegetable and berries, some meat and fish etc. If you were brought up as an Inuit (fromerly known as Eskimo’s) in the northern hemisphere your normal diet would be made up of 75% protein and fat obtained from fish and whale meat. I know for my self, as the son of a butcher (as was also my father), who was brought on a high protein diet of meat and meat products that I am more likely to get prostrate cancer and other illnesses (because of the high protein content) compared to someone brought up as a vegetarian. Ironically I remember whilst studying for the family business, as a meat technologogist at college, I had the thought how can people not eat meat and just eat vegetables and plants to survive – how stupid were they? It was a few years after that (whilst studying with Tony Robbins) I realised it was me that was so stupid and my ignorance had been innocently instilled into my subconciousness from my conditioning and background. The foods eaten by most Westerners today bear little resemblance to the foods our hunter-gatherer ancestors ate. And our lifestyles are equally non-reflective of our roots. Our bodies evolved to weather the cycles of feast and famine; to accumulate body fat easily in order to make it through times when food was scarce. But the famine never comes now, so all we have is the feast. And feast upon feast upon feast adds up to a LOT of extra body fat. Hunter-gatherers consumed foods with high nutrition and low calories. Today, most Americans are getting the converse—high calories and low nutrition. Many are overfed, yet starving to death. Their bodies are accumulating fat and pollutants from intentional AND unintentional contaminants in our food supply, causing their biological systems to shut down and be vulnerable to a variety of chronic diseases. Adding to the caloric excess is an exercise deficit. As a culture, we’ve gotten away from farms and moved to cities, adopting an indoor lifestyle that expends far fewer calories. Instead of walking, we ride in cars. Instead of running from tigers, we chase cursors around a screen. We have completely lost touch with where our food comes from and what goes into creating it. Our very relationship with food has changed, and not for the better. Processed food has become a multi-billion dollar industry that dangles the carrot of “convenience.” However, the price you pay for convenience is your very health and vitality. Hungry For Change exposes the dark side of the food industry’s marketing plan—namely, the addition of certain chemicals that secretly can get you addicted and make you a perpetual customer (they hope). You can probably already see the parallels with the tobacco industry that, in the 1960s, began increasing the nicotine level in cigarettes, which kept smokers coming back for more. One example of an addictive food additive is MSG (monosodium glutamate), which is added to 80 percent of all flavored foods. MSG excites the part of your brain that’s in charge of your fat programs. MSG is what’s known as an excitotoxin, but it’s also used to fatten up mice for scientific study. Yes, MSG is the perfect obesity drug. If you want to achieve your ideal body weight and health, avoid MSG at all costs. People of vastly different cultures and environments thrive on all sorts of diets, from high fat and high protein to high carbohydrate; some mostly animal products and others largely vegetarian. Yet, as varied as native diets are, most native populations have very low rates of chronic disease when compared with Americans and other Western cultures. Eskimos thrive on diets rich in animal fat and muscle and organ meats, but tropical natives thrive on abundant fresh plants, fish and fruit. Yet both cultures are healthy! So what’s the common denominator? Native diets consist mostly of natural, whole foods (whether plant- or animal-based) rather than processed foods that come in a box or a can. Americans are eating overcooked, overprocessed and chemically manipulated fake foods, instead of REAL foods. Native diets, in general, are largely made up of whole vegetables, fruits, nuts, seeds, and meats. Not cooked down, refined, dehydrated and reconstituted, boxed-up pretend foods that aren’t really foods at all. Eating wisely requires a gradual transition toward the consumption of natural, whole foods that are unaltered by a lab. The closer to nature a food is, the more nutritious it will be. A change away from the cultural “norm” won’t be accomplished over night. Start gradually. As good foods are added into your diet, bad foods will eventually be crowded out. Without being derogatory to our own upbringings It is perhaps pertinent, if you are at all concerned with your diet, that you look back at your own conditioning and knowlegde of the food stuffs you eat. Through education you can change your future and your childrens futures and on and so forth… to make for a healthier life and exiistence for all concerned from here on in. So by asking your self How Can I Change My Diet, you are probably already on the road to doing so. By looking at your food belief structures and where they have come from will give you lots of clues. A little bit of studying will help enormously in acheiving your goal and so putting you on a path to a healtier new you. Juicing for change with the beneficial juice of raw foods may be the way to go to break those bad unhealthy eating habits. Juice Fast Plan To Cleanse Or Not To Cleanse? Juicing occasionally or going full out with a juice fast plan for detoxification is open for debate. One thing becomes very apparent reading articles written on juicing and being on a juice fast plan, is that it does provide you with a good dietary intake of what is required for your body to function correctly. Providing it with a high intake of the essential vitamins, amino acids, nutrients and such like that our bodies cells need to have in order to function correctly. Ok it’s common knowledge junk food with all the preservatives and other nasties don’t make for a good healthy existence and yet when illness sets upon us we are plied with chemicals to readdress the balance and so put us back on the road to health. Are cause and effect linked here? Imagine the bodies system is just like a cars engine where if you don’t change the oil then the engine eventually will clog up and breakdown. Your body is no different with its various filters and moving parts, if the correct fuel and lubricants (food and fluids) are not used then you too are likely to suffer from the same demise. Then rather than visit the garage you see a doctor who gives you the required pharmaceutical equivalent of spare part or overhaul to get us back on the road to health. So you may be thinking how does this relate to juice and a juice fast plan? Well just like if we look after our car and have it serviced and change the oil regally you can still become ill right? So surely what you put in is what you get out, continue with the junk food after you have regained health and you are likely to fall ill again. By using raw fruit and vegetables in juice or smoothie form you allow your bodies own system to run on only the best fuel you can give it. This is turn stops the build up of toxins and bad fats and thus allows the cells that you are made up of to function correctly. By cleansing (detoxing) your body with juice or taking on a juice fast plan as a way of cleaning your body out, does seem quite sever and radical only because you are probably not willing to get used to the fact that drinking your food is the way to go. Are you set in your ways, so to speak? People, believe it or not are jumping on the juice diet as a way to gain more health and weight loss for their own benefit. Some are paying good money for purchasing juice cleanse products rather than juicing for them selves. Here Are Some Truths About Doing A Juice Fast Plan. “1. It’s dangerous for some people. People undergoing chemotherapy, diabetics, people with nutritional deficiencies and people with kidney disease should not try a juice fast. The high sugar consumption involved in juice fasts can skyrocket blood-sugar levels in diabetics, which can result in fatigue, unexplained weight loss, blurry vision, excessive hunger and thirst, and wounds or infections that heal more slowly than usual. According to USA Today, the high levels of potassium and minerals from excessive juice consumption can build up in the blood to hazardous levels in those with kidney disease. And the high levels of antioxidants and low levels of protein can be dangerous for those undergoing chemo. 2. Juicing is not better than whole fruits and vegetables. In fact, it removes some nutrients. While the juice form does hydrate and supply nutrients, registered dietitian Jennifer Nelson says there’s no reliable scientific research to support claims that juicing your produce is healthier than eating it whole. Actually, the fiber and some of the antioxidants found in the skins and seeds of fruits and vegetables are often eliminated in the juicing process. For example, the white pulp in an orange provides flavonoids, but that’s usually left behind. Because juice doesn’t offer the fiber contained in fruits and veggies, the body absorbs fructose sugar more easily, which can affect blood-sugar levels, according to Food Republic. If you do decide to try a juice cleanse, drink more veggie juices (carrots and beets not included) and limit fruit juice to one glass a day in order to avoid this potential side effect. None of this means you shouldn’t drink juice. It simply means, instead of drinking only juice for weeks, a healthier route might just be including juices in a balanced diet of fruits, vegetables, lean protein and whole grains. 3. Juices are less filling than whole fruits and vegetables. You’re not going to feel as satisfied and full if you drink your meals instead of chewing them, Livestrong.com explains. Additionally, the fiber that’s been left out of the juice would have helped slow consumption and make you feel more sated. 4. Juice fasts can leave out critical nutrients your body needs to function properly. You should always be skeptical when a diet requires extreme restrictions and cuts out entire food groups. There’s a reason dietary guidelines include various categories of food: You can’t get all of your essential vitamins and minerals out of just one. Extend your juice fast, and you might just cause serious damage. Dr. Glenn D. Braunstein, chairman of the Department of Medicine at Cedars-Sinai, says thatlonger fasts could result in electrolyte imbalances. Additionally, if you’re not getting enough calories, your body could start using muscle tissue instead of fat for energy. 5. Like most fad diets, a juice fast is not an effective way to lose weight and keep it off. Will you lose weight? Probably — you’re cutting out all of the fat from your diet and drastically lowering your caloric intake. But you’ll most likely put it right back on after the fast. “There’s nothing wrong with going on a juice fast for a few days,” said Dr. James Dillard, assistant clinical professor at Columbia University College of Physicians and Surgeons in New York City, on WebMD. “But it’s not a great way to lose weight, because you’ll gain it all back — you yo-yo. It’s just like the Atkins diet. The weight you lose is water weight.” And Dr. Braunstein (of Cedars-Sinai) says this type of deprivation can also result in dizziness, nausea, constipation, fatigue and irritability. 6. There isn’t really anything to detox. Don’t get me wrong: A “detox diet” to rid my body of all the crap I’ve recently put in it sounds convincing, even to me. Who wouldn’t want to “cleanse” their body of all the chemicals, fat and alcohol they’ve consumed? The fact is, though, our body does an excellent job of this already; our liver, kidneys and intestines filter the unwanted things we ingest and expel them through urine, bowel movements, breath and sweat. We don’t need to punish ourselves with strict juice-only diets to eliminate the bad stuff. People were talking about detoxification back in the early 1900s, according to QuackWatch. Supporters of the process claimed that “intestinal sluggishness causes intestinal contents to putrefy, toxins are absorbed and chronic poisoning of the body results.” Scientists abandoned this theory, though, in the 1930s, and these mysterious “toxins” that everyone keeps trying to get rid of have never been discovered. Juice cleanses are a business — a booming one at that. As of February 2011, the boutique cleanse segment was valued at almost $60 billion by Marketdata Enterprises. BluePrintCleanse, a popular New York-based manufacturer, will charge you $65 a day for its cleansing package of juices. Los Angeles-based Pressed Juicery offers three different cleanse packages, each providing five juices and one almond milk for a total cost of $70 a day. Want to juice at home? Get ready to put down some money. Juicers range from $30 to $300. And since you shouldn’t be saving unpasteurized juice for later, you might want to buy one for the office while you’re at it. It’s true. Many people who try these detox diets report having more energy and feeling more focused. However, as Mayo Clinic explains, this could be due to the belief that they’re doing something good for their bodies. 9. It’s not going to cure cancer. Proponents of the juice fast claim it will cure your case of the sniffles and even treat cancer. There has been no scientific evidence suggesting it will do anything but help increase your vitamin intake — which, yes, could benefit your health, but the calorie restriction and lack of protein might actually slow healing. Your body needs all the vitamins, minerals and nutrients it can get to heal. The best thing you can do with your diet is to make sure you’re not depriving it of an essential nutrient and eat balanced, well-portioned meals. It seems that prevention is better than cure. By using a juice fast plan to initially cleanse your system and then keeping to a healthy diet, so you are getting the required proteins and fats, whilst still regally juicing seems the way to go. Although their is no scientific evidence to back up the health claims of juicing, people who do do it report having more energy, feeling more focused, feeling amazing to quote just a few!